SanDisk has announced a pair of new 256GB microSD cards: the SanDisk Extreme microSDXC UHS-I card and the Ultra microSDXC UHS-I Premium Edition card. 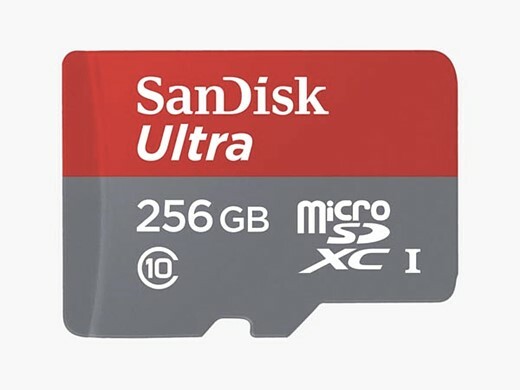 These are the fastest microSD cards in the world, according to SanDisk, with the Premium Edition also ‘optimized for mainstream consumers.’ The cards are intended for action cameras, drones, smartphones and other gadgets with demanding storage needs. The 256GB Extreme card is the fastest of the two, offering transfer speeds up to 100MB/s (compared the Ultra’s 95MB/s max transfer speed) and write speeds up to 90MB/s. SanDisk presents the Extreme model as being ideal for UHD video recording, saying the card can hold up to 14 hours of 4K video. The Ultra version, meanwhile, is better suited to lower resolutions, and can store more than 24 hours of Full HD video. In addition, both microSDXC cards can withstand extreme temperatures and are waterproof, shock-proof, and x-ray-proof. Both are compatible with SanDisk’s Memory Zone Android app. The company will launch the Ultra Premium Edition card globally in August for $149.99, and the Extreme card globally in the fourth quarter of this year for $199.99.